1. Login to your Pinterest account. 2. Open your browser and type in www.pinstamatic.com to your address bar. 3. Choose an icon from the top: Website, Quote, Sticky, Spotify, Twitter, Calendar, Location, and Caption. 4. 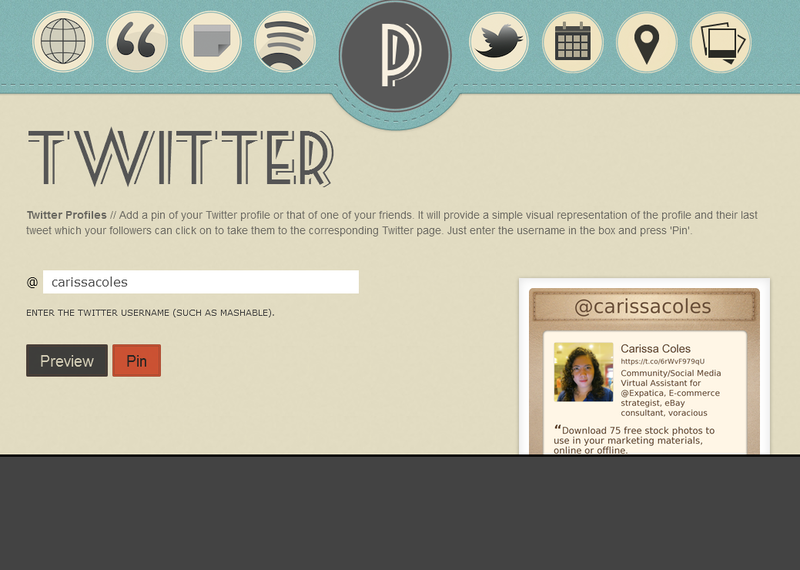 Enter information like text for Website, Quote, and Sticky, and Twitter. Spotify track for Spotify icon. For Calendar, you have to select a date from the calendar widget) while you have to upload a photo in Caption icon. 5. Click “Pin” if you like how it looks. A Pinterest page will pop up where you’ll see the image you just created and a caption which you can edit if you want. 6. When you’re done, click “Pin”. Pinstamatic is simple to use. So if you think Pinterest is not your cup of tea, don’t worry because this web app is pretty amazing. The looks and the functionality are definitely fun to explore.